Viking have provided a complete turn key assembly service to OEM’s in the power generation industry for over 25 years. Our generator design, manufacturing and testing capabilities focus on custom power generation equipment for applications where standard commercial generating sets are not suitable. Viking’s expertise covers silenced generating sets designed for film &television, heavy duty mining or oil & gas units and many other applications. Power generation packages are designed to suit the unique requirements of each customer and can include any number of custom features to suit the end user. Over the time Viking has been designing and building power generation equipment we have supplied a wide variety of generating sets for wide variety of OEM’s and end users. Enclosed and open power generation equipment designed for offshore oil & gas applications with heavy dutystructural steel bases (load tested and third party certified). 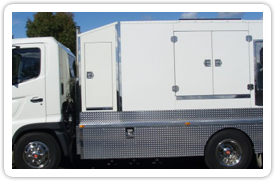 AGA (Australian Gas Association) compliant Natural gas fuelled well head generators complete with certified acoustic enclosures, PLC control systems and integrated load banks. Modification of standard commercial generating sets, adapting them to specific end user applications or working environments such as areas with stringent sound level restrictions. 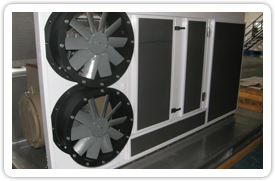 Housings constructed using high quality materials such as marine grade aluminium, electro-zinc plated steel sheet or stainless steel. Two step powder coat finish with zinc rich epoxy primer and UV resistant polyurethane top coat. Our design team are always willing to look at any custom power generation application and will always endeavour to provide a quality yet cost-effective solution. Please contact us, we are always willing to listen. Viking have been established in the power generation industry for more than 25 years. During this time we have earned a worldwide reputation for our engineering expertise and reliable, high quality power generation products, especially for specialized applications.